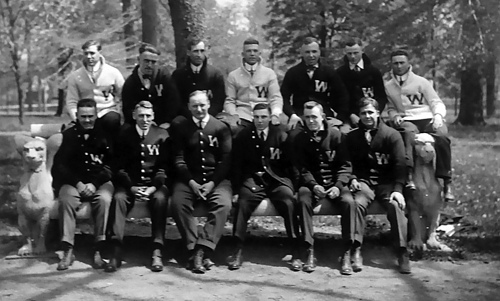 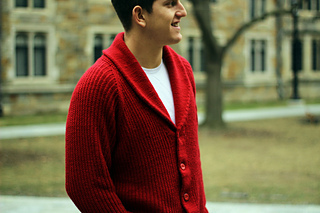 Styled after the sweaters I had often seen and coveted in old photographs hung in the trophy room at my college, the Wabash shawl collar cardigan is both functional and fashionable. 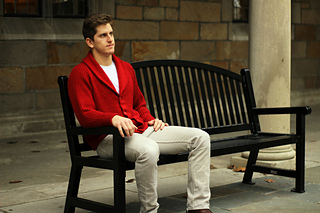 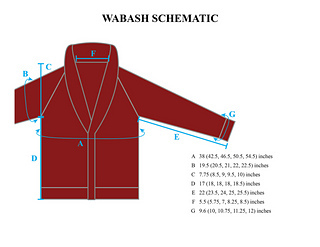 With its extra thick fabric and fine details the Wabash cardigan is sure to become the favorite sweater of any man. 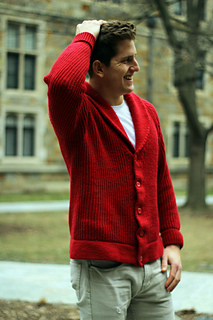 The Wabash cardigan is knit in Fisherman’s rib and featuring a double thickness shawl collar and button bands, a folded hem, and extra long cuffs which are meant to be turned back. 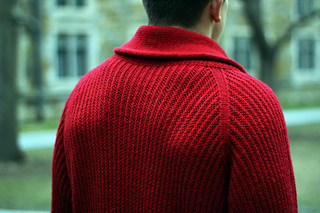 It is knit bottom up with seamless construction and a raglan shoulder, the detailed pattern and striking shawl collar belie its simple design and construction. 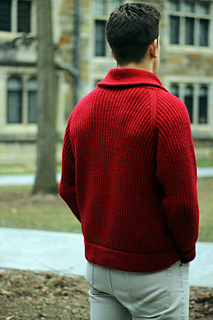 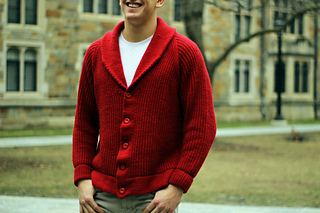 The button band and collar are knit concurrently with the sweater body, leaving very little finishing once the knitting is done.